Why Cob Houses are the "Best Bang for Your Buck"
While this does appear to be a true story, beautifully captured in this Telegraph.com slideshow, it might not be quite that easy or cheap for the average American to build. Alexander Sumerall of ThisCobHouse.com says it’s a misconception that cob homes are always “dirt cheap.” While the cost of materials – clay, sand, straw and water – is low, the “prices for earthen buildings vary dramatically around the world,” he writes. Sumerall says you can save tons of money by building it yourself and keeping it simple, but he likes to give people realistic expectations. While he’s seen several cob homes built for $500 to $800, he says they are either tiny “tiny homes” of less than 200 square feet or are of such a “low standard” they wouldn’t be up to most Americans’ comfort level. For example, here’s a couple who spent $4000, plus 9 months of their own full-time labor, on a pretty basic 195-square-foot cob house. Even so, to Sumerall, cob homes are the best bang for your buck and the wisest choice for your health and the environment. In addition to being relatively low cost to build, they are energy efficient – keeping you cooler in the summer and warmer in the winter; durable – termite-proof, fire-proof and earthquake-resistant; and non-toxic – no off-gassing from paints, carpets, glues, plastics and other synthetic materials used in industrial housing. Cob (also known as adobe in Spanish) is an English word for an ancient building material that has been used since prehistoric times. 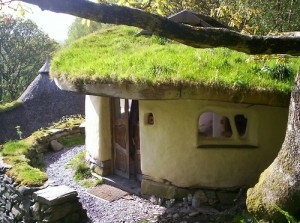 Cob houses last far longer – hundreds of years longer – than conventional stick-frame houses. Some have lasted more than 1000 years. 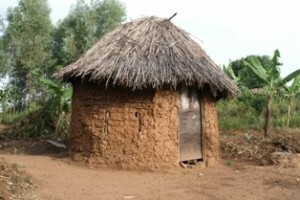 Though time-consuming and labor-intensive, simple cob homes are very easy to build. You don’t need a degree in architecture – or even any experience at all – to do-it-yourself. But you might need an architect’s signature! 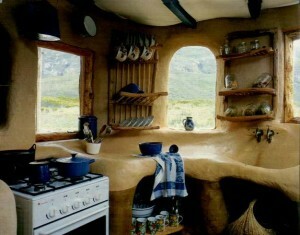 One of the biggest obstacles to building a cob house are building codes. There are no codes for cob in the U.S., so depending on where you decide to build, it could get tricky. “Just be ready to fork over some mad cash” for that stamp of approval, Summerall said. Summerall said he’s never had any interest in building in a city or suburban are, and therefore hasn’t had to worry about the building permit process so much. In many rural counties across the country (except in the Northeast and California), you don’t need to get a permit at all. If you don’t live in an unincorporated part of one of those counties, there are other ways to exempt yourself from the permitting process, such as keeping the building small (usually 12×12 or less) or designating it for agricultural or storage use. Sumerall’s written a guide called Cob to Code for more tips on jumping through building code hoops. For Sumerall, cob homes are more than a trendy hobby. They are a lesson from our ancestors on how to create a sustainable future. I want to know about this. You may learn valuable information that could be useful to them in the future, leaving you the teacher and they, the students. Great article! But one of the pictures (the mushroom two story house with a black railing) isn’t cob. I believe it’s concrete, located in Saitama, Japan called Moomin Park. 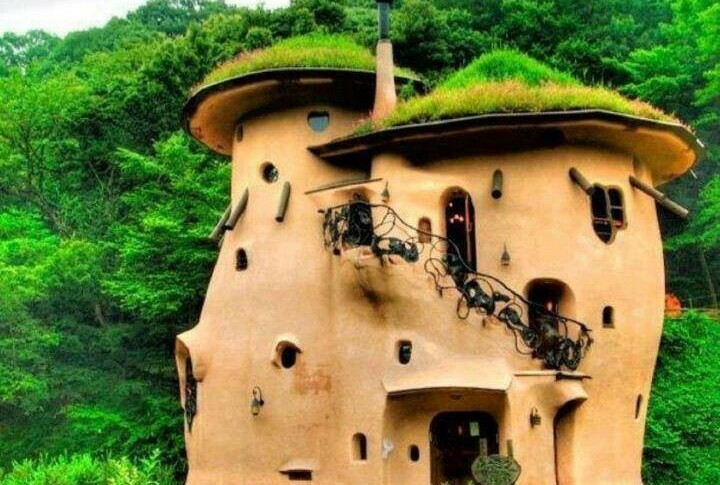 I wanted a house like this until I did some futher research to find the floor plans and much to my disappointment found out it wasn’t cob. Good job ! Thanks for researching that ! What is the ability of this material to withstand temperatures well below zero? As well as heavy snows? 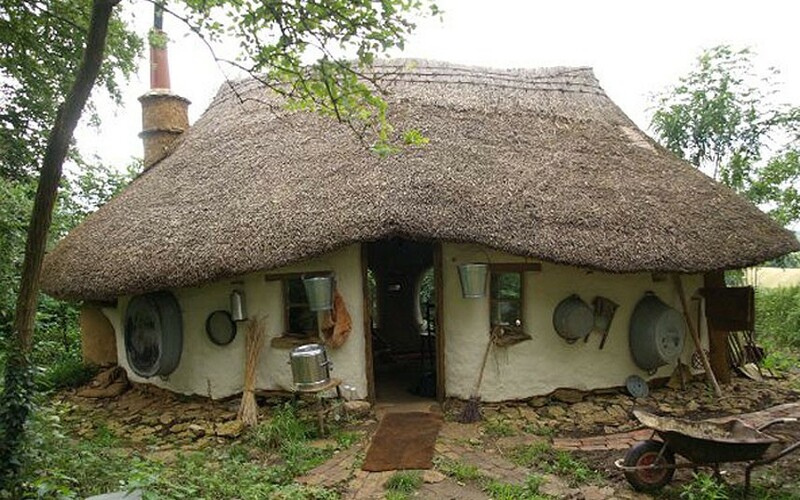 I can’t say about well below zero, but, having lived in England 8 years, I’ve been in Cob homes during winter and they are comfy with the fire in the hearth. Some of them were several hundred years old and still lovely. Yes they can. -18, and a meter of snow on a green roof. No problem. 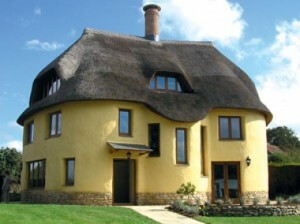 The article correctly points out that Building Regulations prohibit the use of cob for dwellings in the UK. 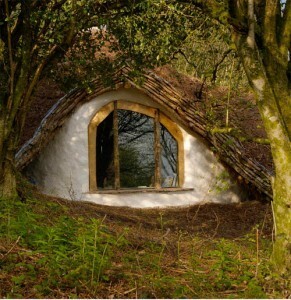 In Devon cob, green timber (often oak, in all the shapes the Navy’s shipbuilders didn’t commandeer) & thatch were the traditional materials for centuries, and maintaining them is straightforward when you have access to plenty of sticky red earth, animal hair and fresh reedstraws for the roof. Which we don’t nowadays. These thick walls, so useful as insulation winter and summer, breathe dampness and accumulate incurable rat runs. They soon dissolve if the exterior gets neglected for a few winters. Fresh timber joists will have twisted soon after they were installed, making floors unlevel – and especially if residents want central heating and windows to modern expectations, all the wooden parts of the building heave and shake with the changing moisture content. New thatching on the roof will be necessary every 14 years or so; its straw is only possible with very carefully harvested crops and the labour is highly specialised. Furthermore it’s regairded as high fire risk and buildings insurance will be astronomical. 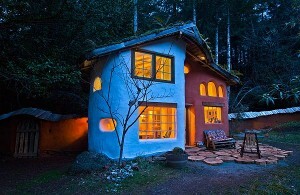 The fairytale adobe cottage is now a millionaire’s bijou gnome-home, a money sink. Straw Bale building… on the other hand… is beginning to meet with cautious approval from local authorities. Would rather see articles about that tbh. I am reading this artical while taking a break from mudding our straw bale home. Our is a total 2,000 sqft under roof (including garage). We are totally in love with our house.